As a family run business, at Shade For Life quality is our ethos – all our work is fully guaranteed and supported by manufacturer’s warranties across our entire product range. From the selection of high-specification products crafted by reputable manufacturers, to the onsite surveying, measuring and installation service we provide, you can rely on us to work with you in creating the precise shading environment for your commercial or domestic requirements. Our specialist consultant and designer will also be your expert installer – yes, you deal with the same person from the initial consultation until your chosen product has been quickly and efficiently installed and is protecting you from rain, heat, glare and UV rays. With our many years industry experience there’s likely no design or installation challenge we haven’t encountered and overcome, and no site too difficult to design for. During your survey any potential issues will be noted and discussed with you and, with full consultation, a solution developed and agreed. Satisfied clients include architects, interior designers, schools, cafes, restaurants and other organisations in addition to the many home-owners now enjoying the protection of custom designed and installed shading. Shade For Life – quality commercial and domestic shade solutions – guaranteed. Blockout Blinds is one of Australia's leading one-stop shops for well-fitted and quality window coverings - from blinds and screens, to shutters and awnings. Equipped with a vast knowledge for all things window treatment, we help transform homes with our expertise in colour, design, and function, as well as offer such fast and reliable professional services as customisation and installation. Superior customer satisfaction is our guarantee, and our friendly staff can provide you with any assistance you need in making sure that your home gets what it truly deserves. 25 year business family owned and operated, supplying quality products, systems and innovations and installing window furnishings for commercial developers and builders, real estates, hospitals, education facilities and residential customers. Our business and personnel is committed to quality, communication, integrity, personnel and partnerships with suppliers and clients to ensure and great outcome. DC Blinds is an Australian family owned and operated company that designs made-to-measure window furnishings for beautiful residential and commercial spaces nationally. We are passionate about delivering excellence through product innovation, streamlined service and price efficiency. All of our fabrics and components come with a 2 year manufacturing warranty and 2 year fabric guarantee. 7-10 days turnaround on our blinds*. We manufacture & install: Venetian Blinds Vertical Blinds Roller Blinds ( including double roller) Panel Glide blinds Pelmets Lace Roller Blinds Plantation Shutters Roman Blinds Drapes & Sheers Call today for a Free Measure & Quote dcblinds@bigpond.com or 0490 064 938 *delivery dates may vary depending on stock availability. Impact Blinds & Curtains is Melbourne's premier manufacturer of quality indoor blinds and curtains. At Impact Blinds & Curtains, we’re dedicated to providing outstanding internal window coverings for your home, with our dedicated customer service. 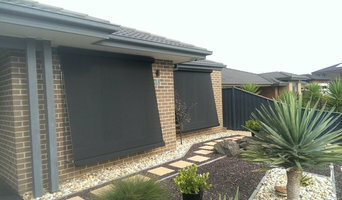 Contact us at 03 9705 6366 or visit <a rel="nofollow" target="_blank" href="http://impactblindsandcurtains.com.au">http://impactblindsandcurtains.com.au</a>. With our Melbourne Blinds and Curtains showroom, we have over 60 room displays and an extensive fabric library to inspire you, plus a dedicated staff to help you decide on your home’s blinds, curtains, and shutters. You can even bring in your house plans to get an accurate price estimate! Our website is also available if you’d like to browse our styles from the comfort of your home. Why choose Impact Blinds and Curtains in Melbourne? Well, as a small business who manufactures onsite, we can maintain the same quality we would expect to put in our own homes! Additionally, because we’ve been in the industry for 20 years, we know how to manufacture all trends in the industry, from elaborate drapes with top treatments to minimalist designs of today. Best of all, we cater to all budgets: from the very budget-conscious to the luxurious. BLINDS SPECIALIST- ARCHITECTURAL AND DESIGNER With over 35 years of experience combined in the window furnishing industry, and dealing directly with some of the largest Architectural firms and Builders in Australia, Melbourne-based Alessi Design Group are one of the well-known blind retailers specialising in commercial fit outs, multi-story apartment works, medium to high end residential and government work. 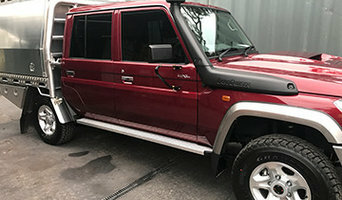 Having the reputation of only providing quality products and expert service, ADG deliver knowledge and experience to execute each individual project with precision. Commencing his career as an architect, Pino Alessi took advantage of his attention to detail and knowledge of interiors to work closely with some of the country’s leading architects and designers. As Australia’s high-end window furnishing specialists, we provide quality materials and systems that are sourced from around the world and within Australia. With a total understanding of the commercial, architectural and residential markets, ADG has become a market leader servicing clients in all States of Australia allowing you to create your own unique internal and external blind environment. Based in Victoria, Internet Blinds offers an extensive range of curtains and blinds online in Australia at the most competitive rates. 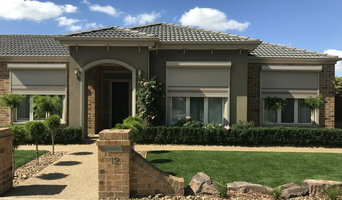 With more than 21 years of extensive expertise and thorough knowledge in the industry, we have built an enviable reputation as the renowned organisation dedicated in manufacturing and supplying a quality range of blinds and curtains online in Australia. Our customers are able to buy blinds online in accordance with their required size, shapes, patterns, colours and textures. With a perfect blend of high-quality fabric and latest technology, we ensure that our clients are having a pleasant experience of buying curtains online. Whether our clients want to buy curtains online or buy blinds online for their industrial, commercial, child care centres, restaurants, schools or retail store, we ensure that our collection meets their varied requirements perfectly. Our Products Categories: •Roller blinds online •Roman blinds online •Plantation shutters online •Window shutters online •Vertical blinds online •Venetian blinds online •Outdoor blinds online Why Choose Us? •Fast delivery Australia wide •Australian owned •Free consultation and expert advice •Secured payment system •Best brands Visit our website to browse our extensive range or for any query and advice feel free to get in touch with us at our registered number. 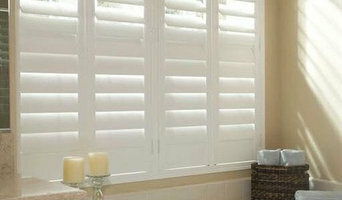 Shades of Elegance are premium Manufacturers of Blinds in Melbourne. We provide a wide range of window furnishing products like dual roller blinds and single roller blinds. Talk to our designers and get customized services at best rates. 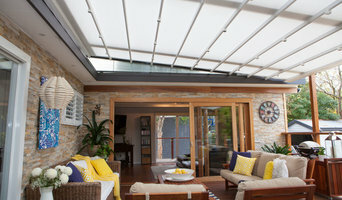 McMullens Blinds is one of the leading suppliers of Blinds and Awnings in Melbourne. We offer a wide range of top quality products at affordable rates. Call (03) 9796 3211. Providing Melbourne and surrounding Suburbs with designer plantation shutters and blinds at a fraction of the cost of regular retailers.